IRVINE, Calif., Nov. 1, 2017— Mavenlink, a leading provider of cloud-based software for the modern services organization and Gartner Cool Vendor*, today announced the release of a new version of its Mavenlink Project Management and Resource Planning solution, available through AppExchange, empowering businesses to connect with their customers, partners and employees in entirely new ways. The solution improves alignment, transparency, forecasting, and speed of execution in the sales and delivery of professional services. Mavenlink will demonstrate the solution at Dreamforce 2017. Built on the Salesforce Platform, Mavenlink Project Management and Resource Planning is currently available on the AppExchange. Mavenlink’s comprehensive solution is designed to help professional services, such as IT services, marketing services, and consulting services, better operate and perform in the networked economy. Mavenlink goes beyond traditional professional services automation tools by incorporating advanced project management, collaboration, resource management, project accounting, and business intelligence in a single platform. Additionally, Mavenlink integrates with Salesforce Sales Cloud to give delivery teams insight into the sales pipeline, enabling more accurate forecasting and increased communication between sales teams. 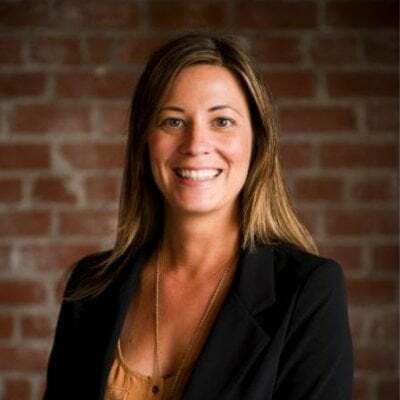 "The integration between Salesforce and Mavenlink is smooth, and setup was as easy as selecting a few options to get it turned on,” said Amanda Davenport, operations analyst, Novo Group. “Connecting Mavenlink with Salesforce has helped our firm get our service delivery and sales teams better aligned and effectively forecast resource needs based on what's coming in the pipeline." Triggering of Estimates: Organizations are able to automatically trigger the development of project estimates at a desired stage of the sales cycle. Improved User Interface: The new update is compatible with Salesforce Lightning and easier to use, giving relationship owners real-time visibility into ongoing projects. New Logging Feature: A new logging feature makes reporting easier and supplements capabilities for tracking budget, project work, forecasting, and communication. Improved Configurability: Standard and advanced configurability have been added to increase efficiency and platform agility. Increased User Control: Users can automatically generate projects from Salesforce opportunities and influence titles, budget and project leads as desired. In addition to Salesforce, Mavenlink also integrates with other enterprise resource planning, CRM, accounting, agile development, productivity, and document management solutions, such as Netsuite, Intacct, Oracle, SAP, Workday, Jira, Google Drive, Xero, and Expensify to connect the critical systems stack in a services business. Each connection is powered by a cutting-edge extensible integration platform that eliminates the need for costly middleware and enables system administrators to tailor the solution to their needs. To learn more, please visit Mavenlink at booth 1742 in the Customer Success Expo at the Moscone South at Dreamforce 2017 on November 6th-9th. 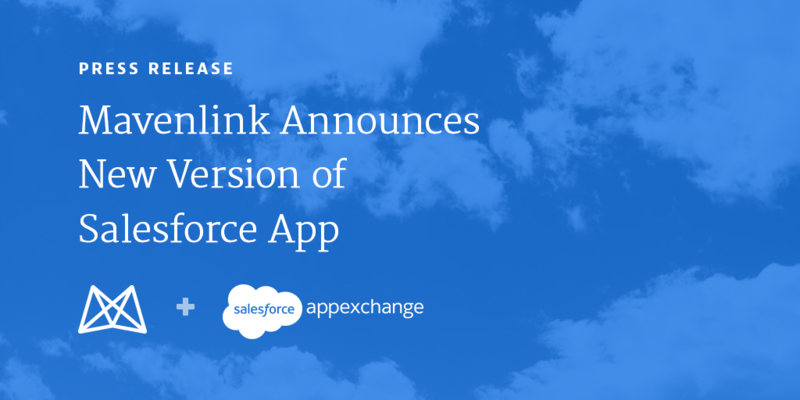 For more information on Mavenlink's AppExchange offering, visit www.mavenlink.com/salesforce.